Company: PTT Exploration and Production Plc. With the Arthit project, PTT Exploration and Production Plc. (PTTEP) has for the first time engaged in every stage of developing a new gas field, from exploration to production. For this project, PTTEP built the Arthit Central Processing Platform, one of the largest of its type in Asia and the first ever in Thailand to be moved into position using the floatover method. It is located in the Navamindra Petroleum Area, which is in the Gulf of Thailand about 230 km off the coast of Songkhla Province. At this location, the water depth is approximately 80 meters. In the first project phase, six wellhead platforms have been connected to the central processing platform. Ultimately, 50 wellhead platforms will be constructed. 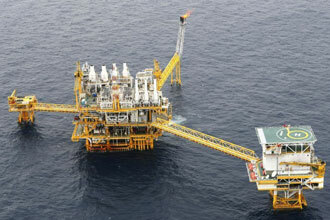 PTTEP is the first and only Thai-operated petroleum exploration and production (E&P) company. 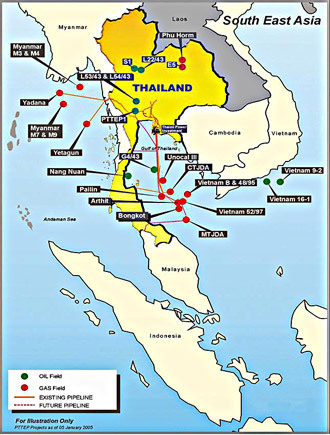 In line with a cabinet resolution calling for a flexible E&P entity that would provide maximum benefit to Thailand, it was established on June 20 in 1985 by the Petroleum Authority of Thailand (PTT). Its mission is to explore for, develop, and produce petroleum from onshore and offshore sources in Thailand and other countries. A key challenge in this project was the tight schedule during the detail engineering and procurement stage. Yokogawa succeeded in delivering its systems on time and without compromise in quality.With an automation system comprised of the Yokogawa CENTUM CS 3000 Production Control System (DCS) and the ProSafe-RS Safety Instrumented System (SIS), this is the first offshore platform in Thailand that is designed to make full use of FOUNDATION fieldbus technology. During the pre-commissioning work for the FOUNDATION fieldbus instruments, the challenge was integrating the CENTUM CS 3000 system with instruments from other vendors. 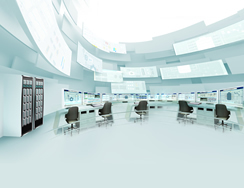 With the great vendor support provided by the Yokogawa service team, all devices were successfully connected and full integration was achieved. This platform also had many new operators who required training on an operator training system (OTS). 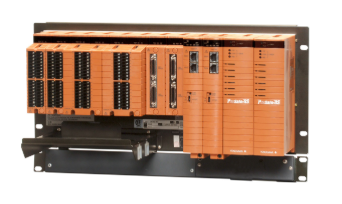 An OmegaLand simulator provided by Yokogawa helped control room operators quickly come up to speed in running platform processes. Thanks to Yokogawa's highly reliable systems and products, a safe working environment has been achieved for the 120 operators, engineers, maintenance staff, and other personnel stationed on this platform. "A lot of modification and fine tuning of the automation system occurred during startup, but this was not difficult for Yokogawa. The system has a lot of capability and flexibility. With great support from Yokogawa Thailand, the DCS and SIS on the Arthit platform have met our requirements. During startup and commissioning of the platform, we never had problems caused by the Yokogawa system." Theeraporn Kongwilai, Instrument Engineer.